In a world of ever-increasing prize pools, the Electronic Sports League (ESL) is determined to stay relevant. They are announcing a bunch of tournaments this year that will get a lot of attention thanks to some impressive prizes – while Dota has the top spot, even CS: GO is nothing to sneeze at. First up, last week the ESL announced the “world’s largest Counter-Strike: GO tournament” to be held in Cologne Germany from 22-23 August. 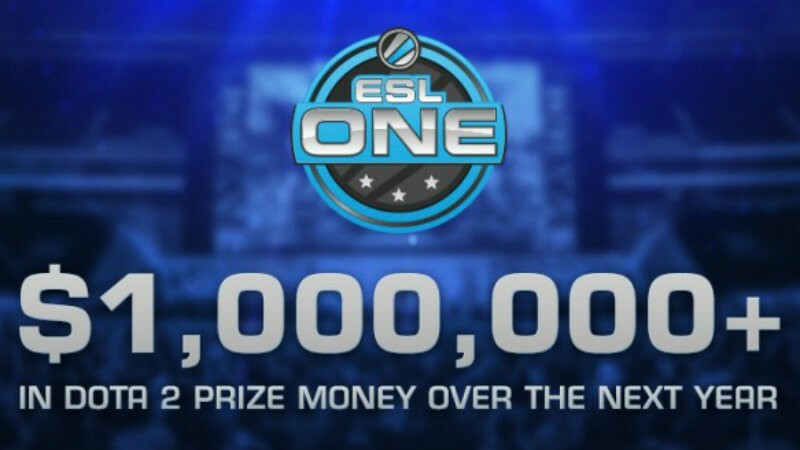 The prize will be $250 000 but it’s different from tournaments with that same prize amount in the past – this time all that cash is coming entirely from the ESL. We’re starting with ESL One Frankfurt 2015 in June this year, where the prize money has been raised from US$150,000 to US$250,000 – and this is just the beginning. ESL One is here to set a new standard for professional Dota 2 events at this level. We’re dedicated to pushing the boundaries, and giving players from around the world more chances to make their careers as professional gamers is a key aspect of that. This means the ESL has quadrupled their investment in Dota 2 compared to last year. That’s quite a hefty sum and it will definitely draw more participants to the event. Of course, nothing touches The International, which will probably break even more records this year. Still, it’s good to see other leagues and tournaments upping their game. It’s hard to get attention in eSports with such a glut of tournaments – teams will often pass up an event if someone else is offering a larger prize pool. This will certainly help the ESL to stay relevant, and make the games more interesting; playing for a ridiculous amount of money always boost spectator value. Next article Is Nvidia making its own VR headset?